A long weekend in Dayton, Ohio, means a chance to delve into aviation history, see riverfront waterworks, appreciate art, eat at both retro-cool and new chef-driven restaurants, and shop in a trendy historic neighborhood. 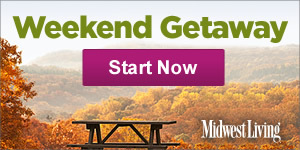 Check out our getaway guide. 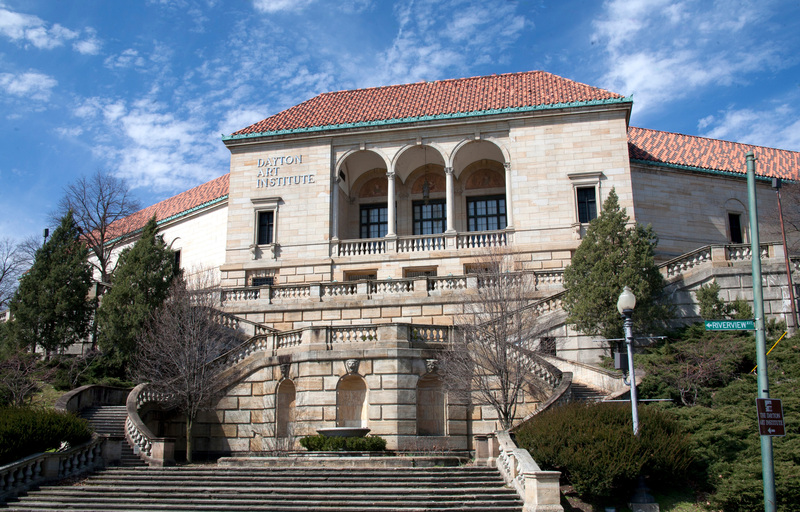 Start with art @ 3 p.m.
From its hilltop perch overlooking the Great Miami River, The Dayton Art Institute offers a welcoming view of the city and a serene start to your journey. The museum’s diverse collection—housed in a masterpiece of Italian Renaissance architecture recognized by the National Register of Historic Places—spans 5,000 years and includes European old masters, Asian artifacts and American contemporary works. Wine welcome @ 5:30 p.m.
A quick walk from the The Dayton Art Institute will bring you to Basil's on Market, just the place to raise a glass and say “Cheers” to the weekend. Enjoy a flight of wine or sample tastes of Dayton and Ohio craft beer inside the restaurant, or relax on the patio. Small bites include the eatery's signature seasoned fries or a deconstructed sushi plate. Home base check-in @ 6:30 p.m.
A convenient location and recent $21 million renovation make the Marriott at the University of Dayton the perfect home base for your stay. Aviation-theme artwork accents the contemporary design. An on-site restaurant, bar and pool encourage relaxation. 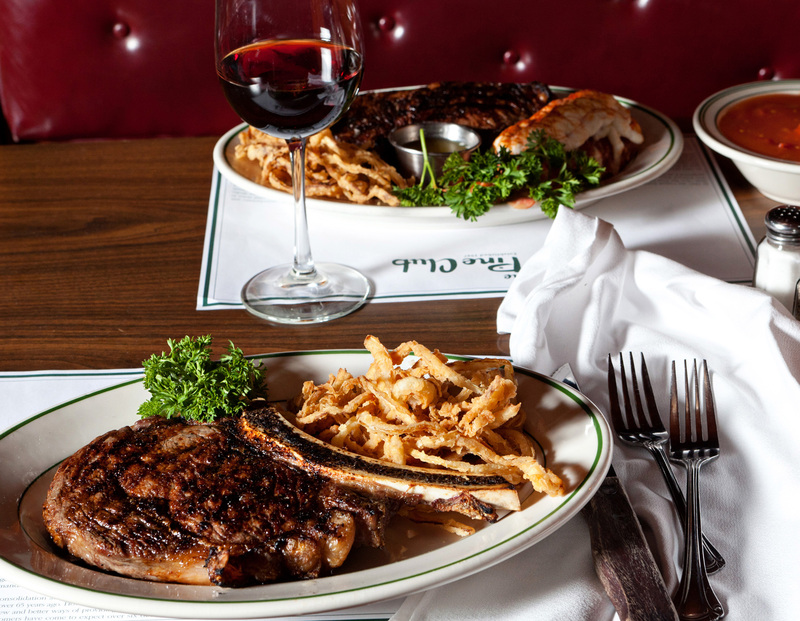 Dine old-school cool @ 7:30 p.m.
There’s a reason The Pine Club has been hosting diners since 1947 and regularly makes lists of “best steakhouses in the U.S.” —it’s consistently good (and fun)! Still sporting the original knotty pine paneling and red vinyl booths, this steakhouse serves the classics: filet mignon, French-fried shrimp, huge baked potatoes heaped with chive sour cream, and deftly-shaken martinis. As befits a quirky classic, however, there are rules: no credit cards (cash only), no reservations and no food at the bar. Trust us—this blast-from-the-past is worth it. Breakfast at Butter @ 9 a.m.
A commitment to local sets the tone at Butter Café, where organic, fair trade and farm-to-table are more than just buzz words. 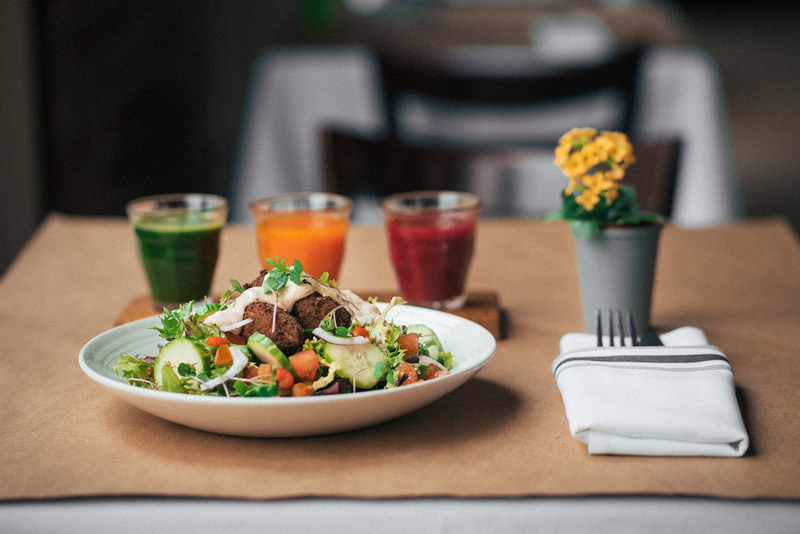 Vegetarians, vegans and those who keep gluten-free will be pleased to find menu items like tofu scramble, vegan biscuits and gravy, chai tea French toast and fresh-baked gluten-free muffins. The cozy, funky space adjacent to the Oregon District also serves locally-roasted coffee and baked-on-site pastries. Greet the Great Miami River @ 10:30 a.m.
RiverScape Metro Park in downtown Dayton takes full advantage of the city’s location beside the Great Miami River, and you should, too. Rent a kayak or paddleboard from Whitewater Warehouse, pick up a bike at the RiverScape Bike Rental, or just stroll the riverfront and enjoy the Five Rivers Fountain of Lights, one of the largest fountains in the world and one of the few that incorporates a river into its choreography (operates from Memorial Day through Labor Day). 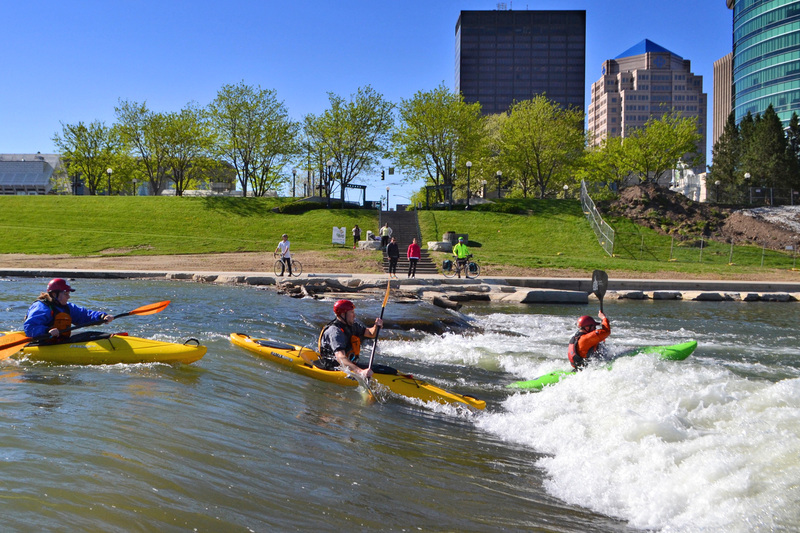 The new RiverScape River Run allows kayakers a seven-mile paddle, removing a low dam and adding two drop features that accommodate both novice and more experienced paddlers. Locally-sourced lunch @ 12:30 p.m.
A recent addition to Dayton’s downtown food scene, Table 33 brings local ingredients to its brunch/lunch menu. Sample dishes such as “Brussels tacos,” chicken and waffles, or chorizo sweet potato hash in a bright space that’s equal parts rustic wood and modern white. An outdoor patio accommodates diners who’d like fresh air with their fresh fare. Table 33. Photo courtesy of Jon Morton Studios. History lessons @ 2 p.m. The aviation history of Dayton starts with Orville and Wilbur Wright, who grew up there (Orville was born in Dayton; older brother Wilbur was born in Millville, Indiana). Dayton Aviation Heritage National Historical Park, a collection of several sites, puts their legacy in perspective. At the Wright-Dunbar Interpretive Center, see the Wright Brothers’ bicycle and printing shops as well as displays and a video tracing the brothers’ lives in Dayton. Nearby (also part of the park) is the Paul Laurence Dunbar House, the final home of the renowned African-American poet and childhood friend of the Wright brothers. In the Wright-Dunbar Interpretive Center: a replica of the 1902 Wright Glider that the brothers used to launch themselves over the sands of Kitty Hawk, North Carolina, in 1902. Photo courtesy of NPS/Tom Engberg. 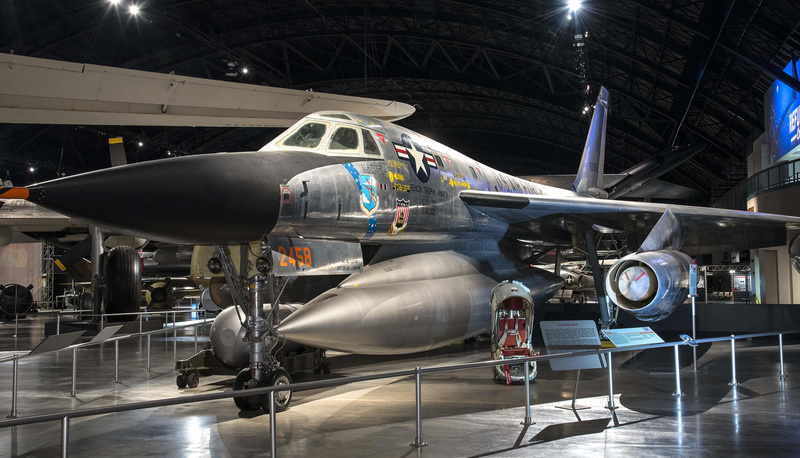 Continue your aviation exploration at the National Museum of the U.S. Air Force, where hangars house more than 360 planes and missiles, and exhibits chronicle the development of aviation from the time of the Wright brothers until the present. Volunteers are eager to share their knowledge about the extensive collection. Convair B-58 Hustler on display in the Cold War Gallery at the National Museum of the U.S. Air Force. U.S. Air Force photo by Ken LaRock. Beer break @ 5 p.m.
Two of the best breweries in Dayton, a major player in the craft beer scene, sit just a few blocks apart. At Dayton Beer Company, the first to open (in 2010), you can sip your Hawthorne Hill hefeweizen in a “European-style beer hall” or listen to live music in the festive outdoor beer garden. 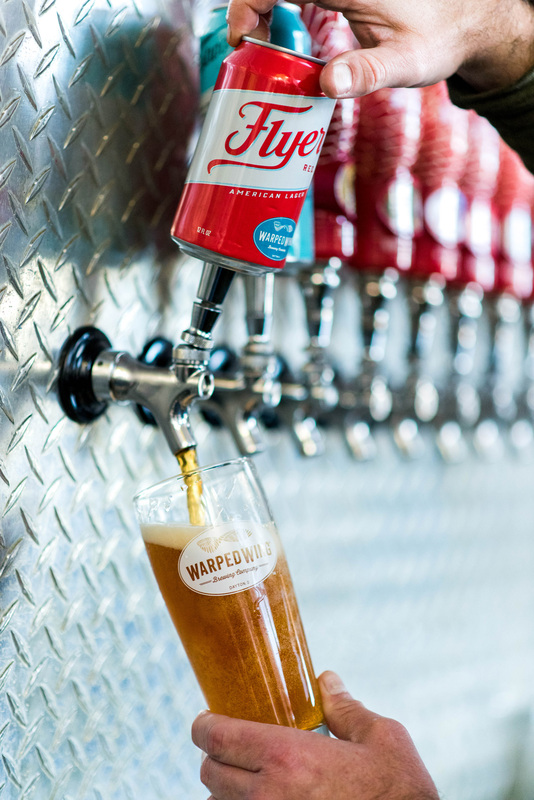 Fans of Warped Wing, brewing since 2014, love the imaginative beers, like Ermal’s Belgian-style cream ale, and pack the industrial warehouse taproom where garage doors open wide when the weather allows. Do the District @ 6 p.m. The city’s oldest neighborhood, once a collection of declining 19th-century mansions, now boasts a rep as hipster central. Most of the action in The Oregon District centers on 5th Street, where locally-owned shops and chef-driven restaurants create buzz. Check out Eclectic Essentials for clothes and housewares, Brim on Fifth for hats and accessories, Bonnett’s Book Store for used books and disheveled charm, Heart Mercantile for locally-made (and sometimes edgy) gifts and crafts, and Omega Music for tunes on vinyl and concert posters. For something different, catch an indie/art film at The Neon or a comic at Wiley’s Comedy Joint. 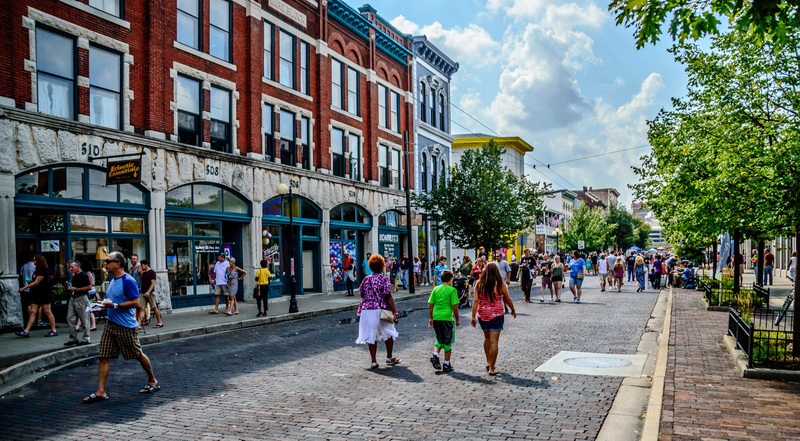 Shops and restaurants draw visitors to the Oregon District. During special events, such as the Taste of Oregon festival, streets are closed to cars. Photo courtesy of Downtown Dayton Partnership. Eclectic eats @ 7:30 p.m.
Husband-and-wife owners (he’s the chef) Jack and Natalie Skilliter bring their “finer diner” concept to the Oregon District’s Corner Kitchen, where American comfort food goes upscale. The pasta in duck carbonara comes topped with duck confit and breast, pancetta and peas; sautéed wild mushrooms (brown beech and hen-of-the-woods) get cozy with cardamom-braised kale and a curried parsnip sauce; and then there’s meatloaf and mashed potatoes…’nuff said. Expect convivial dining in close but comfy quarters. Nightlife nightcap @ 10 p.m.
Take advantage of the Oregon District’s abundance of bars and nightclubs, some lively and others laid-back, before calling it a night. For a middle-ground choice try The Trolley Stop, a tavern dating to 1839 that morphs from restaurant to live music club on weekend nights and throws in an upstairs pool table and backyard patio for good measure. Anyone with nostalgia for roadside pancake joints should head to Golden Nugget Pancake House, a diner-style restaurant that’s been dishing it up to Daytonites for decades. 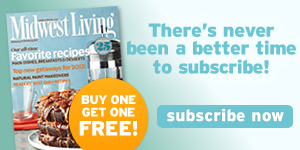 You’ll find the usual breakfast staples—omelets, sausage gravy and biscuits, French toast—but pancakes remain the real draw and range from savory (potato and bacon) to sweet (chocolate chip and peanut butter). 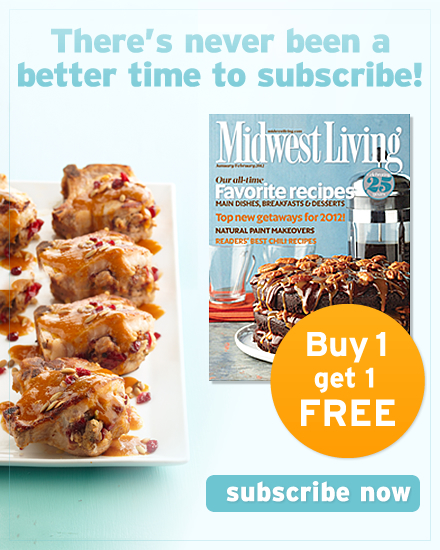 Don’t be put off by the line out the door; it moves quickly! Bells, beer and Brothers Wright @ 11:30 a.m. Walk off those pancakes at Carillon Historical Park, 65 acres of riverside greenspace designed by the Olmsted brothers of Central Park fame. Here you’ll find the 151-foot Deeds Carillon, where 57 bells play three times a day (10 a.m., 2 p.m. and 5 p.m.). The park’s museum complex (open at noon on Sunday) includes both historic and replica buildings that touch on many facets of Dayton’s history. 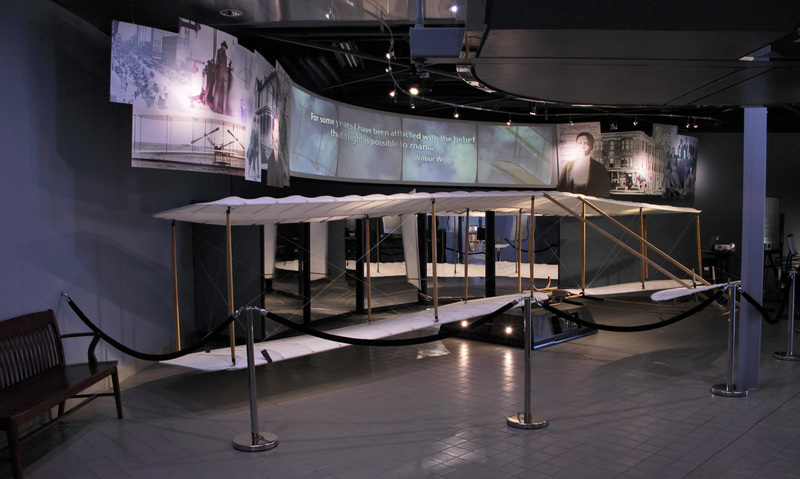 At the John W. Berry, Sr., Wright Brothers Aviation Center, you can see the original 1905 Wright Flyer III. 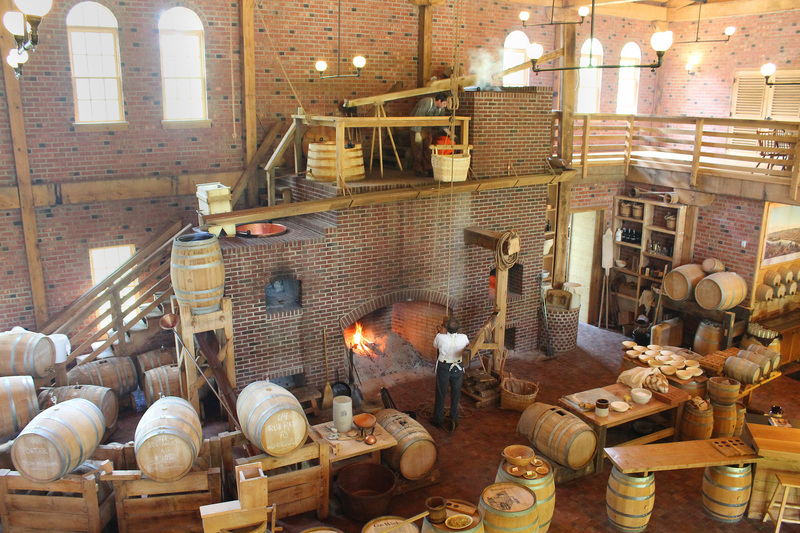 The park also houses the only museum-based production brewery in the U.S.—Carillon Brewing Company, where brewers in period costumes make beer using 1850s techniques and recipes. Signature beers include a coriander ale and sour porter which you can sample in the barn-like brewery/restaurant or take home in a growler. Pro tip: if the wood-burning ovens are baking spent grain crackers during your visit, buy a small bag to-go. They’re so good! Photo courtesy of Carillon Brewing Co.